Rent £650 per month in advance. Deposit £750. Minimum of 6 months contract. 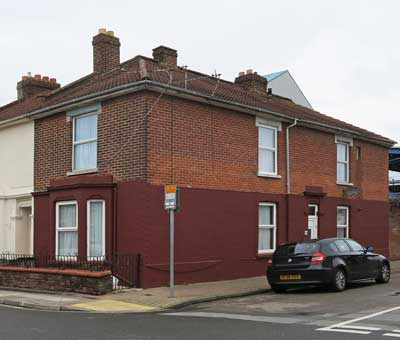 This unfurnished flat is on the ground floor of 44 Carrisbrooke Road, near to Portsmouth Football Ground.If you are looking for a spacious, clean and neutrally decorated two bedroom flat with modern kitchen and bathroom this may for you. Sitting room with kitchen area off. Modern kitchen with stainless steel built in oven, hob and hood. Fridge/freezer and washing machine. Two double bedrooms. Bathroom with bath and electric shower. Gas central heating. There is a shared outside area with bike storage. Although the flat is being let as unfurnished there is a sofa, dining table/chairs, double bed, wardrobes and drawers. These items can be removed. There is on street parking, buses and local shops are nearby. People in full time employment only. Deposit and references are required. Reference from a previous landlord and information to complete a credit check will also be required. Call Ian Crowson on 07774 884 550 for an appointment to view.